Baron Samedi and Maman Brigitte is a bawdy cabaret play steeped in Caribbean culture and folklore. 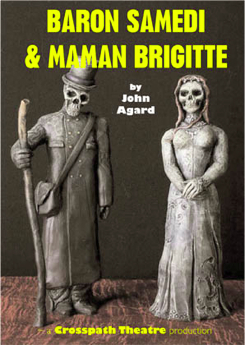 Traditional gatekeepers to the underworld, the blasphemous Baron is typically depicted in top hat and undertaker’s garb with trademark cigar, whilst his wife, Maman Brigitte, wears a wedding gown. A verse play full of graveyard humour, it was presented as a work-in-progress at three rehearsed readings in 2014. 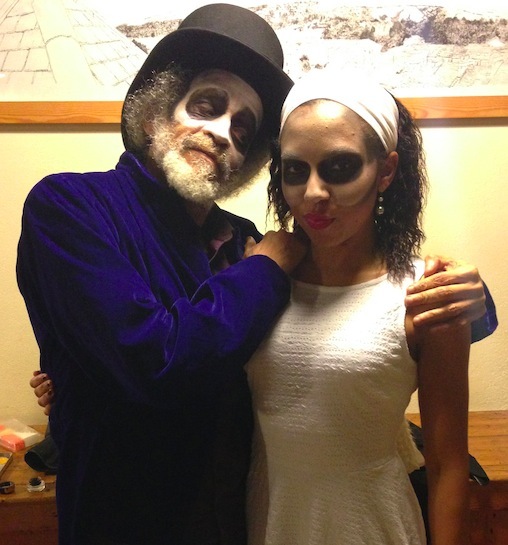 Directed by Marc Matthews the performances featured Leann O’Kasi as Maman Brigitte and variously Victor Romero Evans and John Agard as Baron Samedi. The initial development work was supported by AWA, Creative Reach and Fringe St Lucia.